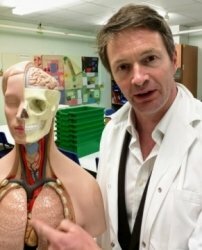 23 years experience of full time teaching of only A level Biology in a top Sixth Form College. My tutees show marked improvement and achieve excellent results. I am a current A level Biology teacher. My department is grade 1, as were my lessons in a the most recent OFSTED. My classes have achieved in the top 1% of A level Biology Sixth form college classes nationally for value added results. Very many students have achieved full marks in exam papers. Many have achieved their goal of obtaining a place to read Medicine or Dentistry. Students that I have tutored have gone from D in the L6th exams to a A at A-level and from a C to an A*. I enjoy tutoring as it is immensely rewarding to see students achieve a thorough understanding of the theory that they couldn't previously apply. A level Biology can be an extremely challenging subject, there is a huge body of difficult content to learn and understand. The new style questions test understanding and application more than factual recall, many students find this a big change from what they were comfortable with at GCSE. My aim is to get students to understand why and how a biological process is occurring, rather than trying to rote learn the steps. After a full explanation of the topic, I go through relevant past paper questions and try to coach what the question is actually asking about, how it relates to the theory and how to phrase the answer for full marks. I am now only tutoring online in London. I use an HD Webcam, a graphics tablet and video conferencing with a super-fast broadband connection. I use an excellent web-conferencing program, where both parties can see and annotate notes and past papers and PowerPoints, it is an extremely effective tutoring tool. With online tutoring I have immediate access to a huge range of exam questions, markschemes and teaching resources. All online tutorials are recorded and shared with the student, so they can be re-viewed and used for revision. Prior to the tutorial, I send resources - notes, videos, questions, animations and PowerPoints to go through so faster progress can be made during the lesson. I have a very efficient online booking system so you can choose the day and time that suits you and amend if your plans change. Tom has provided clear explanations, has great knowledge of the topics we've covered and helped me put it all in context. Really good tutor. My daughter has enjoyed working with Tom and finds his teaching approach very easy to follow. Tom is always willing to send extra work and answer any of her questions in between sessions. We highly recommend Tom to anyone looking to help build their Biology knowledge and confidence. Tom is an amazing Biology tutor and is the best teacher I have ever had. He explains topics in detail and always sends relevant revision material before the lesson which helps a lot. Tom has helped me discover the depths in Biology, and I really enjoy his lessons as he covers topics at a really good pace as well as explaining everything properly. I asked Tom to tutor me after I got a bad grade for my A-level and after having lessons with him, my biological knowledge has improved a lot!! Would highly recommend him. Thanks Jananie, great that you are enjoying the sessions. My daughter has had several sessions with Tom and found him excellent. Tom goes into depth on topics, he is really clear and precise, and his explanations are easy to understand. In addition, he has a clear understanding of the course she is working on, which has been helpful in targeting her study on the right course content. Amazing tutor! I found it really easy to organise sessions (as you are given access to Tom's calendar) and to get in touch, which we frequently do via WhatsApp, whether it's me asking a question or Tom sending some interesting and useful information (videos, articles, etc.). Thank you so much for all your help so far! It's a pleasure to tutor you !